You are here: Home / Ethnic Groups / The People of Sumatra / Who are the Lampung Pubian? Who are the Lampung Pubian? The Lampung Pubian people have a very clear cultural organizational structure, which separates them from other peoples within the Lampung cluster. The Pubian are also called the Three Clans of Pubian because in the past they were made up of three clans. The concept of clan (suku) for the Pubian refers to a broader association than other groups in the region, because for them a clan can consist of several villages. The Pubian are made up of two subgroups. Each subgroup is made up of six clans. Their villages are located on the lowland plains spreading to the east. Today, the Lampung Pubian have mixed with other indigenous peoples and have their own territory, a small area in Central Lampung regency. The Lampung Pubian settlements are at the same sites as they have been for a long time. 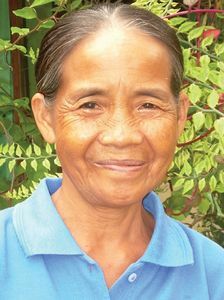 Every clan (marga) owns a permanent house that is usually inhabited only by the elderly. Most young adults and children live in seasonal homes called umbulan. Characteristic Lampung Pubian villages are made up of long, elevated wooden homes (sesat) situated around the village government buildings. These homes have one large room that has been partitioned off to create smaller rooms for members of the community. Modern-day homes have begun to shift from this traditional elevated wooden home style to homes that are only partially elevated or to ground-level concrete and wood homes. The Pubian live separately from non-Lampung people who move into the area because the newcomers often settle in dry field areas. The primary means of livelihood for the Pubian is farming, and almost none of them work as fishermen as they tend to live in areas far from the coast. The Pubian speak the Lampung Api language. Most Pubian can speak Indonesian. Many of them can also speak the languages of transmigrants like Javanese and Sundanese. They hold to the customs (adat) of the Pepadun tradition. The word pepadun means “chair” or a seat used by a ruler. The leadership system in Pubian is congregational in that there are many punyimbang (cultural leaders) who have the right of voice in community meetings, acting much like a congress. Family ties among the Pubian are very strong and the Pubian clans use a system of consensus for resolving issues amongst themselves. The Lampung Pubian hold very strongly to their Islamic identity. The Pubian have a dualistic view of religion. On one hand, there is a belief that all religions are good and their teachings are basically the same, just with different means of achieving the same ends. But on the other hand, they also believe very strongly that Islam is right and they view followers of other religions as unbelievers. Social and public facilities are greatly needed among the Lampung Pubian. Good education and health care are also needed in order to improve their quality of living. Adequate land and jobs for the Pubian could decrease their jealousy toward the transmigrant communities who live around them.